The company behind the revolutionary Moto Razr files a patent for a screen with regenerative abilities. WHY WOULD ANYONE PUT REGENERATIVE ABILITIES IN A PHONE? Smartphones are popular and no one’s denying that fact. However there’s one problem that has plagued these devices since their very introduction, namely fragile touchscreens. Despite all ‘Gorilla Glass’ research and implementations, manufacturers still can’t do anything about minor nicks and scratches that make your device look dated over time. And everyone knows that they’re better off buying a new device rather than getting the screen replaced. But since we’re supposedly ‘living in the future’, companies are certainly thinking of eliminating this problem. In the recent turn of events Motorola have revealed their latest patent for a screen that automatically ‘heals’ itself. IS MOTO ‘WOLVERINE’ IN THE MAKING? We’re certainly hoping they would brand this phone after the iconic mutant superhero ‘Wolverine’, as that would be simply awesome. Motorola are already known for introducing shatter proof touchscreens. With a technology that could heal the minor scratches, they’d certainly create more durable devices. According to the details listed in the Patent, this new feature will automatically detect any damage on the display and notify the user. Users can then simply apply body heat (by simply placing your thumb or finger) to trigger the screen’s regenerative abilities. However, this technology is still only applicable on polymer screens, that would feel a little different to touch than glass. Experts have certainly expressed their joy, but are also worried by the heat-sensitive technology which could make it a little unsuitable for smartphones. But in Motorola’s defence, the patent still doesn’t make it clear whether this will be used for a smartphone or not, so we’re keeping our fingers crossed! Nintendo’s revolutionary home+portable console “Switch” outsells all rivals. Although this sounds like a regular question that most anime bad guys ask, it has surely taken us by surprise. Nintendo Switch sold more units than Sony PS4 and Xbox One last month, that could foreshadow their return to glory. 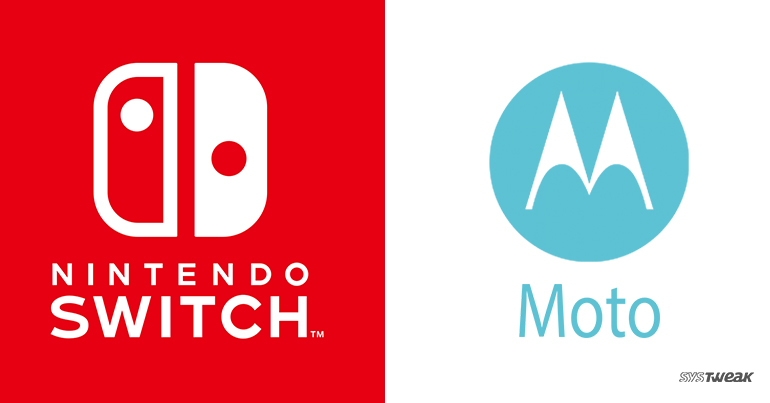 In a total upset compared to June sales, Nintendo Switch has reported an impressive 29% increase overshadowing arch-rivals Sony. Most sales could be related to the popularity of Splatoon 2, that has become one of the highest selling games in 2017. But that also shows how Nintendo might have finally released a console that can keep up with competition, without upsetting fans. COULD THIS MEAN BAD NEWS FOR SONY AND MICROSOFT? Sony surely doesn’t need to worry much about Switch sales as they’re still the market leaders on a yearly sales basis. Microsoft’s Xbox One on other hand, still hasn’t picked up much sales. This could indicate their eventual drop to the number 3 spot, that wasn’t really rivaled for the past 15 years or so. This lack of challenge could also be attributed to Nintendo’s dark age that started with the release of N64 and inferior consoles from Sega and others. Although this might not sound like a major win for Nintendo, but surely indicates that they’re back to reclaim lost territories in the future.